It all looks very back to basics, which I am certainly a fan of. "After missing last year’s show, Gibson is back with a vengeance! Yes, it’s made mistakes in the past, but this company looks like it’s about to rectify them." "We’re paying tribute to the Golden Era of Gibson by restoring authenticity for musicians with our new lineup of Classics,” says Cesar Gueikian, GIBSON’s Chief Merchant Officer. He then goes on to say: “True to our DNA, our new Les Paul Standard returns to the classic design that made it famous. And the same can be said of other models." Very Interesting! 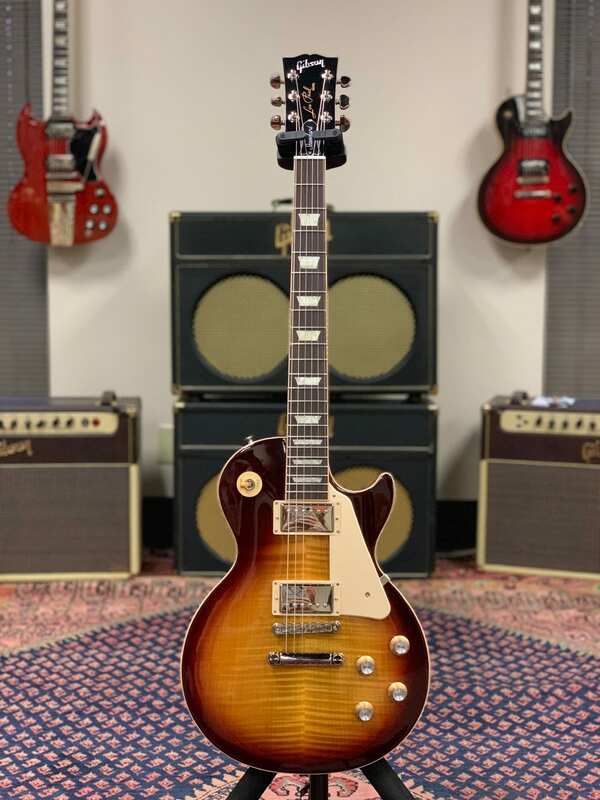 a 50's, 60's and P-90 LP Standard. It will be interesting to see the specs on these guitars and the colour options. This is what I suggested last year, happy to see they are probably going that way. I just hope they are not raising the prices to rebalance the incomes, because of less models. Interesting. 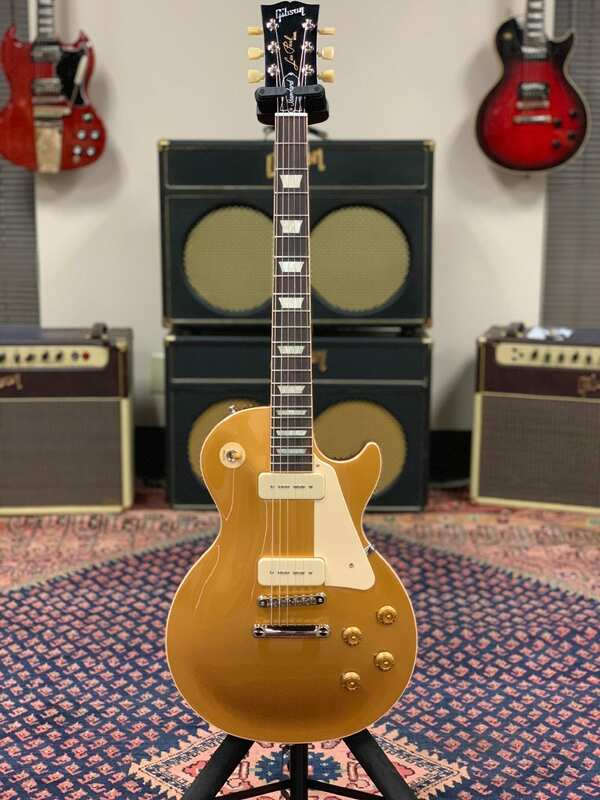 I'll probably bite on a goldtop with p90s as long as it has a slightly beefier neck than the classic with p90s I bought last year. Never thought I'd say that about the beefier neck, but the Les Paul custom I bought last year has shown me the light. First thoughts; headstock seems back to the correct size. Strap buttons back to vintage specs. ABR1 seems a regular one. 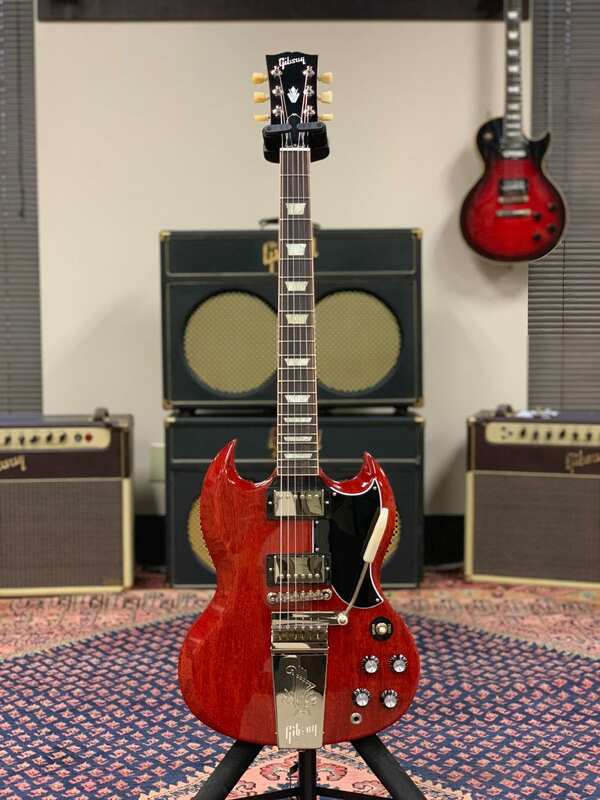 I'd rock the S**t out of that SG and some! Looks like my Trucks SG but with all of the tremolo. My Trucks has the correct size headstock, larger than the regular standard from today. The Junior and Special seem to have vintage specs. I like that a lot! And that's about it for my level of excitement. I'd rock that for sure. Looks to be the death of the Traditional I'd say. Pretty redundant to keep that around now that the Standard is back to being the Standard. One of the best things Gibson could do to turn around a lot of people's opinions of past years is freak out on the quality control of the nuts and their slots. If they want to sell a bunch of Maestro equipped guitars without it turning into a bunch of bad press about SG's that won't hold tune, quality consistent nut slots are a must. 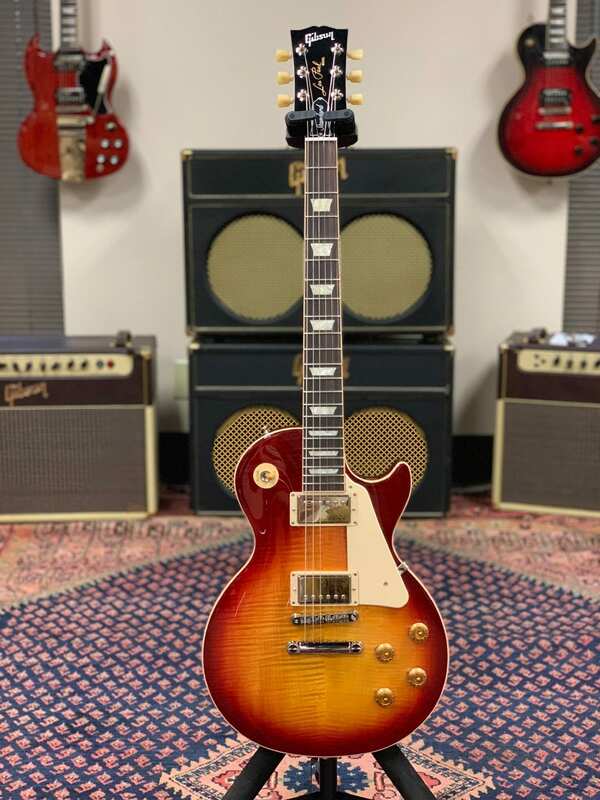 A quick Google search shows that a Les Paul cost $375 in 1959. Adjusted for inflation that's about $3,200. Today you can get a brand new Les Paul for a lot less than $3,200. And thanks to modern day technology and manufacturing tolerances, it's probably built a lot better too (on average). Very cool, I am glad they will be at NAMM this year and I can't wait to go next weekend. Thank you for sharing. Great news here! ...and a different placement for the holly inlay.